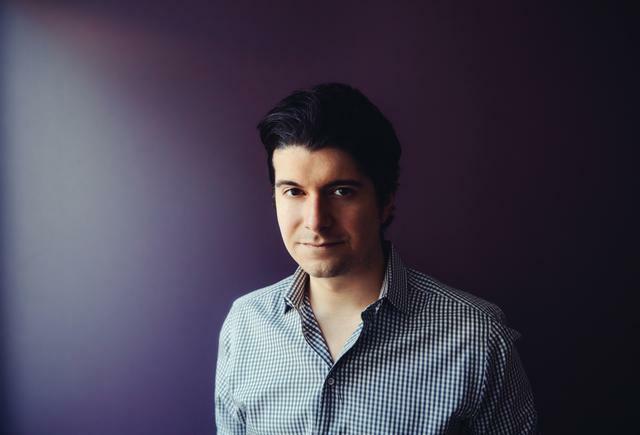 Anthony Casalena built the first version of Squarespace because he wanted a better personal website for himself. It’s a common enough story. Drew Houston famously wrote Dropbox’s first line of code on a bus when he realized he left his thumb drive at home. But very few founders have taken Casalena’s path. While he's run the company for a decade, he didn’t start focusing on explosive growth until six years in. When he did, the company quickly became the first choice for hundreds of thousands of layman web developers, and it snagged a rare brass ring — this year’s buzzy Super Bowl ad that kicked off a new chapter in the company’s history and attracted hordes of new users. Recently, it announced a new fundraise of $40 million to scale even more, bringing its total amount raised to $78.5 million. So how did Casalena do it? How did he take a company once dwarfed by competitors like Wordpress and Drupal and make it the growing, aspirational brand to watch while continuing to lead development? In this exclusive First Round Review interview, Casalena explains how he achieved every technical founder’s dream. In 2004, there were very few legitimate options for people who wanted to build their own websites without coding. And those that did exist deeply bothered Casalena with their negligence to detail, GeoCities and Blogger among them. When he started sharing the platform with family and friends, he soon realized he wasn’t the only one stymied by the lack of options in the space. More and more people asked if they could use the tools he had built to create their own sites, giving him the momentum he needed to run a cashflow positive service for three years on his own. Eventually, he was bringing in around $1.5 million a year. What made the difference for Casalena was his drive to be detailed. When you’re engrossed enough in any area or topic, you develop taste that sets you apart from the crowd, he says. As someone who had taught himself to program from age 15, he knew there had to be a better way to do things, and he pursued that idea at the expense of “getting a real job” without the certainty of a payday. Six years into the company, this same attention to detail — the kind that you have inherently when you’re building a product for yourself — is what drove Casalena to make the changes he needed to revitalize the company, rise to the top of a new field of competitors, and truly realize his vision to provide a simple, stylish web publishing platform. Hiring was his first stop. As Casalena has seen, there are plenty of off-ramps for founders who want to step aside and cash in on the “lottery ticket” company they’ve created via M&A or an acqui-hire. He never took any of them. Instead, he gradually brought in reinforcements and grew the team deliberately based on what was a) most important to the business and b) something he couldn’t do himself. Case in point: Customer care was the first area where he brought in help. The contractor he hired now runs the department — including an office of 100 in New York and 20 in Ireland. Casalena had been handling customer complaints and issues by himself for multiple years, but it was quickly eclipsing the time he had to spend on the product. The takeaway: Figure out what you value most, and when you realize you can no longer do more than a mediocre job at it with existing resources, bring in someone else you trust who can. This has become a guiding philosophy for Casalena and the company. You have to have the desire to really build a business, not just grow a sustainable product. In hiring, he’s discovered that trust is much more important than pure skill. Trust is how you build for the long-term. Skill alone is how you build for churn and quick exits. When all of these qualities come together, you have people you can trust to make the best decisions without you while remaining aligned with your vision, Casalena says. At the same time, these principles allowed him to build a company that looked remarkably different than it had before. This team made the launch of the distinctly slicker Squarespace 6 possible, and now serves hundreds of thousands of customers. On a personal level, Casalena had to transition away from being solely an engineer who was very hands-on about design and product to keeping an eye on all three at a much higher level. “It’s been a while since I’ve actually written any code, and it took me a long time to get there. But at a certain point, I just knew I’d be unable to sustain my responsibilities with the amount of stress I was dealing with,” he says. During his time at the company, it became increasingly clear that building a website is just one piece of how people tell bigger stories and present bigger ideas. He realized that for Squarespace to grow its market share, it would have to clearly understand and articulate this need in everything that it did. This meant pivoting the company’s mission away from just providing great web tools, but also helping people push their ideas out to the masses, get more eyeballs, interact with their communities. “All of the products we create now speak to this broader need,” Casalena says. This revamp of the company’s mission — spearheaded by Casalena’s desire to do more — led to the release of products like Squarespace Note (its note-taking app) and Squarespace Commerce, enabling people to easily sell things on their sites. Casalena photographed at Squarespace headquarters in New York. The lesson for founders is to constantly keep tabs on what your user base aspires to do. Combine that with your personal vision for what you want your company to be, and the difference you want it to make. Where these ideas meet is where your mission should live. And once you’ve got that pegged, make sure it’s reflected in every product, effort, and announcement. This becomes especially vital during rapid growth when you’re onboarding new people every week. “When you have your mission and core values developed, then anyone at the company can point to them and say, ‘This is what makes us uniquely Squarespace. This is the way we do things.’” In Casalena’s experience, this quickly initiates newcomers into the right mindset. Squarespace is all about giving its users the tools they need to build custom web presences, but creating internal building blocks has actually helped the company accelerate its own development. “I can remember years ago, we’d get stuck in these endless iteration loops for small features, and now it’s easy to tell if something isn’t right, if it doesn’t fit the vision, if it’s not going to achieve the right goal. It’s amazing how fast things can proceed through our design flow,” Casalena says. These internal frameworks are big and small. They include Squarespace’s iconic design language, as well as how designs march through levels of review. Who is in the room for particular decisions? How does Squarespace talk about itself? The company also has a unique attitude toward deadlines. If we don’t think we can deliver something phenomenal by a certain date, we’ll just change the deadline. All of this has become part of a company-wide gospel that is understood and reinforced by leadership. With these pillars in place, its easy for disparate teams working on products like Commerce or an accounting package, or even a marketing plan to focus on the task at hand, and not on how small things like buttons or headers should look or what steps they need take next. They can hand things off to the right person and get the feedback they need seamlessly to continually improve. For a while, customer service wasn’t meeting the right needs. Pricing wasn’t quite dialed in. All-hands meetings weren’t serving the purpose they needed to. These were all building blocks that existed early at the company that needed to be rethought, revised and relaunched. Some of the more concrete building blocks included Squarespace’s server and infrastructure, which have needed to be rapidly upgraded to accommodate demand. And when the company went about launching its new front-end identity, it borrowed from old building blocks while pioneering new ones. As Squarespace grew, it became increasingly difficult to communicate these building blocks and core values consistently. The best weapon to keep everyone aligned and moving forward turned out to be constant feedback, and it was much easier for Casalena to stress the importance of feedback and high performance to his top tier of managers than the entire company. “This might sound corporate, but the truth is people really want feedback on their jobs. This is the most important communication any manager ever conducts,” he says. “It’s been huge for us to have managers focus on making sure everyone on their teams knows what is going on, why it’s being done, what the expectations are — including what they don’t need to know or worry about." Every employee doesn’t need to be clued into every part of the business. Managers should draw the line so people can excel at what they need to do. When you’re at a startup, there tends to be a bias toward communicating everything to everyone. People are generally sitting in the same room and want to be looped into everything, even if it’s distracting in their current role. When you start appointing managers to delegate to teams, this system needs to be broken — and it needs to be broken intentionally and positively. No one wants to be cut out of things. You need to make it clear that compartmentalizing certain aspects of the company are to employees’ benefit, and the benefit of the organization, allowing it to sprint faster and do more for users. This isn’t to say that people should be completely siloed. It’s critical that employees throughout the company feel like they are playing on a winning team. But the best way to do this is to use all-hands meetings to highlight achievements — like thousands of engineering tickets processed in a week, or an award-winning ad campaign. All-hands meetings are great tools for circulating all non-vital or immediately relevant information. Most importantly, the data that’s shared should be hand-picked by managers to reinforce the company’s direction. The only way this works is if founders and top managers are directly in line with one another, and actively work at being on the same page. “If you were to interview me or any of the other executives at the company separately and ask us questions about how we want to run things and what our top goals are, I know we’d be very close in our responses,” says Casalena. “There might be 20% disagreement here and there, but that just exposes the areas where you need to work on things, or maybe pivot — maybe you’re wrong and need to take a closer look at something. If you think you’d have 80% disagreement with some leaders, then some people probably shouldn’t be at the company." In addition to ensuring that all members of their teams have the information they need to kill it at their jobs day in and day out, Casalena says that all managers need to have granular understanding of their functional areas in order to succeed — and in order for him to succeed as a founder and CEO. For Casalena, so much of Squarespace is about beauty, ease, and simple design. This applies both to the product the company builds, and its own organizational theory. “I really think, when you get the right people around the right idea, amazing things are possible. Things you never imagined.” he says. “And I think that’s part of how I’ve managed to run the company for so long — wanting to see what was possible when all the right elements came together."